I’m exhausted just reliving our last few days! The wonder non-twins. Don’t they look like an old married couple? Note the tiny dog, Julio, snuggled up by the fire. Hilarious. 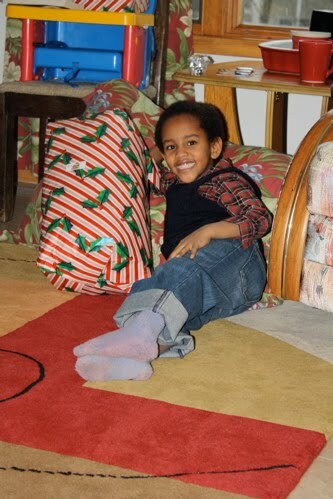 Tariku says, “Mom, take a picture of me!” And so I did. 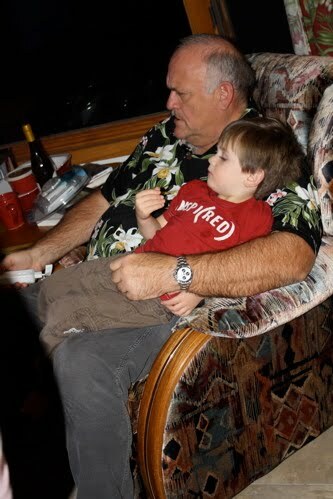 My father-in-law is one amazing man. Firstly, my mom-in-law is an amazing woman. 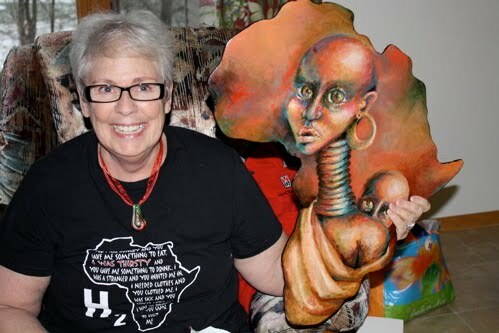 She had outbid one of my good friends at the Wine to water party for this Africa. My friend, Lynn, really wanted it but couldn’t outbid my in-laws. Well, my mom-in-law surprised her one day and just gave it to her, no money exchanged. Yes, amazing. But, see, my mom-in-law loved it so my father-in-law asked me to get in touch with the artist (Naomi) and see if she would do another. Naomi agreed, asking only for shipping costs and another donation to Water For Christmas. 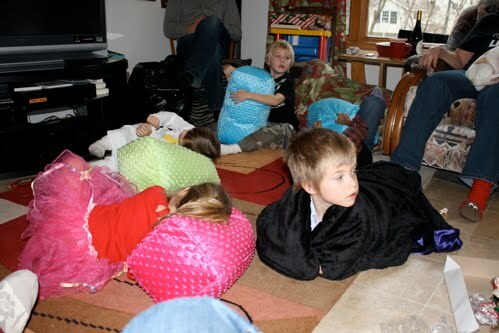 As you can see, I have no shortage of amazing people surrounding me. Any coolness I have is a reflection of those I love, I promise! 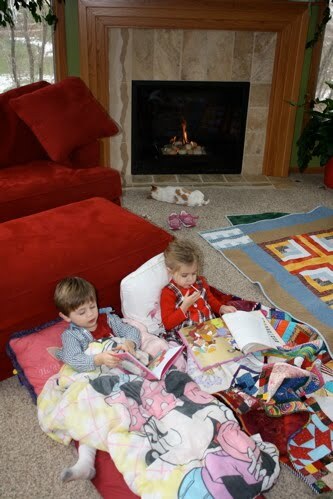 Terre (mom-in-law) made the kids pillows and Trysten this blanket he’s wanting for years. 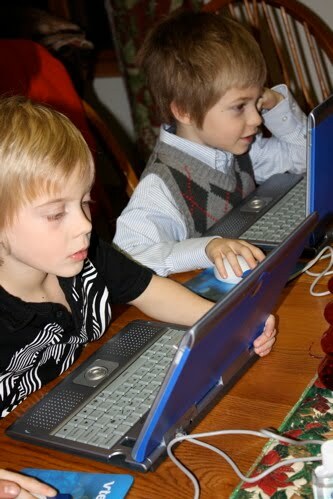 Just a couple guys at the office working on their new computers. 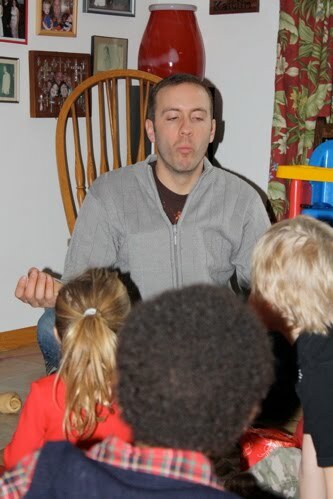 Jake teaching the kids how to center themselves. 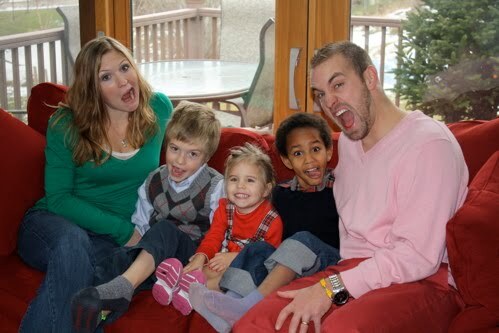 Our goofy family pic. Look at Tariku’s face, love it. 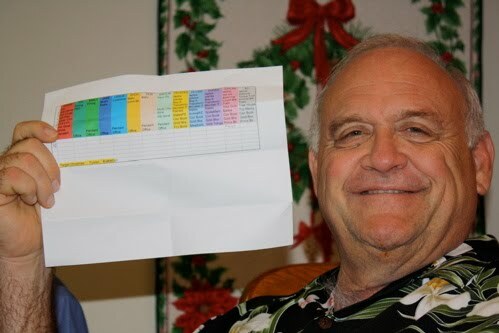 Frank (father-in-law) with his color coded spreadsheet. 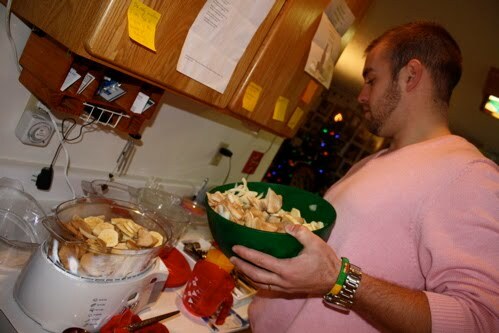 Those highlighted deals tell him which presents to give out when so as to capitalize on excitement and anticipation. Frank and his mini me. 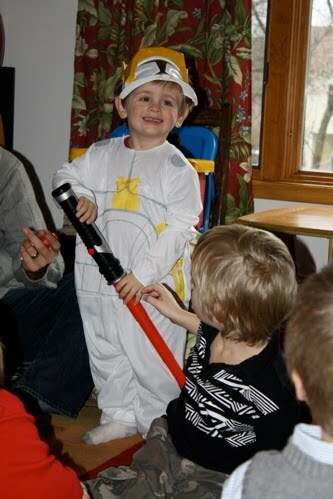 Eli and his Star Wars. 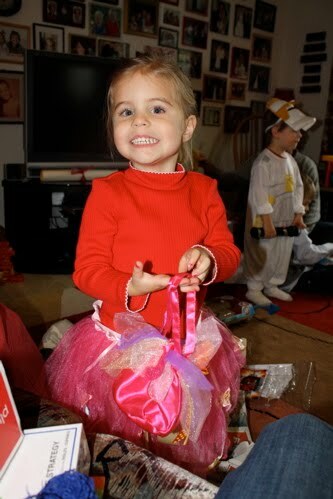 Dailah was a smitten kitten with her purse and tutu from Uncle Frank and Aunt Emily. 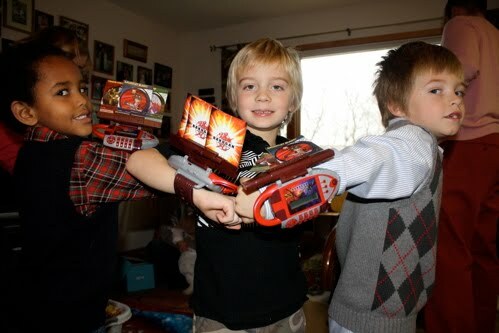 The older boys and their Bakugan (sp? ).